General dentistry refers to the practice of diagnosing, preventing, and treating conditions involving the teeth, gums, and jaw. Ideally, general dentistry is a preventive medicine. Our passion is to work together to educate our patients and aid in the prevention of tooth decay and periodontal disease before they even start. The Canadian Dental Association recommends that patients visit a dentist twice a year in order to maintain optimal oral hygiene and keep serious dental problems at bay. To schedule your routine dental care, contact us today! Apart from getting your regular checkups, dentists are also able to perform the following procedures to ensure your smile is at its finest. Dental radiographs (x-rays) are essential as preventative and diagnostic tools to provide valuable information to the dentist that are not visible during a regular dental exam. Dentists and dental hygienists use this information to safely and accurately detect hidden dental decay, dental abnormalities, and complete our accurate treatment plan. Without getting routine x-rays, problem areas may go undetected. We are all exposed to natural radiation in our environment. The amount of radiation exposure from a full mouth series of x-rays is equal to the amount a person receives in a single day from natural sources. Although dental x-rays are considered safe, we still take the necessary precautions to limit the patient’s exposure to radiation when taking dental x-rays. These precautions include using a lead apron shield to protect the body and using the latest technology and fast film that cuts down the exposure time of each x-ray. The need for dental x-rays depends on each patient’s individual dental health needs. Typically a full mouth series of dental x-rays is recommended for new patients. A full series is usually good for three to five years. Bite-wing x-rays (x-rays of top and bottom teeth biting together) are taken at regular check-up visits and are recommended once or twice a year to detect new dental problems. At High Street Dental we can do non-impacted removal of wisdom teeth. Although some people do not have all their wisdom teeth, we do usually recommend extraction after a certain age to prevent large cavities and infection developing in the future. Apart from wisdom teeth, in only the most extreme and necessary cases—such as when a tooth is decayed or damaged beyond repair—we may extract a tooth in preparation for a restorative dentistry procedure, such as dentures, bridges or implants. While undergoing your regular dental checkup the dentist may note areas where decay has affected the tooth structure and a cavity has formed. 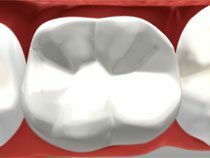 At High Street Dental we use composite resin to fill the affected area. This type of filling can be matched to the same color as your other teeth creating a natural appearance rather than the outdated silver amalgam fillings. Night guards are plastic devices that are used to prevent excessive wear on the teeth caused by grinding during sleep. Bruxism, as the medical condition is called, can lead to problems in the jaw. When chewing muscles get tired from clenching and grinding they go into spasm and cause pain. High Street dental provides night grinding appliances as a preventative method for this condition. After a thorough periodontal screening and examination we may choose more aggressive therapies aimed at eliminating or reducing the amounts of bacterial poisons and plaque accumulating below the gum line, (generally cleaning and polishing of teeth is above the gum-line). This involves curettage and root-planing and/or treatment with site specific administration of medications to the affected gums. Curettage is the debridement of the soft tissue lining around the tooth. In gum disease this tissue is chronically irritated by bacteria deep below the visible gum-line and needs to be removed so that proper healing can occur. Root-Planing is the removal and smoothing of micro-amounts of root surface so that a clean and un-infected surface is presented to the healing lining of soft tissue. These two procedures are generally done simultaneously, may require local anesthesia and are skillfully done by our well trained hygienists under HighStreet Dental’s prescription. High Street Dental’s hygiene team will work with you to assure that you have access to the care that best suits your needs. They will also help you hone your home-care skills so that you can maintain the optimum level of health that you want. During the procedure, a gap is drilled into the tooth’s crown and pulp chamber, diseased pulp is re-shaped or removed, and the tooth is permanently sealed with a gold, porcelain, or tooth-colored inlay/onlay or crown. To relieve the very real anxiety associated with dental visits, we offer oral conscious sedation, also known as sedation dentistry. Patients who feel stress about having dental work done, as well as those who need multiple procedures performed in one visit can benefit from conscious sedation. 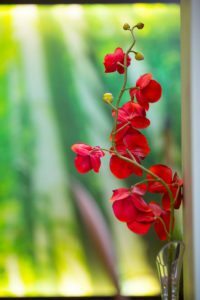 The procedure involves taking an oral sedative prior to your visit, then receiving nitrous oxide (laughing gas) to supplement the sedative’s effects. Your vital signs and comfort level are keenly monitored throughout your visit. A sports guard is highly recommended by coaches and dentists for adult and child athletes who want to protect their teeth during their games. Without proper protection, your teeth are at high risk from being damaged by a ball or an accidental hit in the mouth. 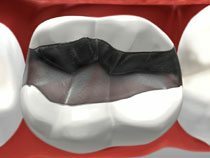 A sports guard is made by taking custom moulds of your teeth to create a thermo plastic resin for a custom fit mouth guard. This mouth guard will fit perfectly to your teeth, and stay in your mouth during your games to help absorb the shock of any hit to the mouth.